See Dancing sibling Duo Julianne & Derek Hough Perform Live! Do you love to dance? Do you like to watch professionals dance? If so, you may have heard of Julianne Hough – she has both danced and been a judge on ABC’s hit show, “Dancing with the Stars.” She has also starred in some popular films, including the recent remake of “Footloose.” Now, you can watch her and her brother Derek Hough dance in a unique event. The Move Live tour has Julianne and Derek dancing together all across the nation, and they will be heading to Los Angeles on August 7th at the Microsoft Theatre. If you want to attend the event and you’re coming from out of town, try looking for places to stay with affordable rates near the Microsoft Theatre. Get your tickets today! Julianne and Derek began dancing at a young age when they were still children. At first, it was only for fun and a way to entertain themselves and their family, but soon their love of dancing just began to grow. 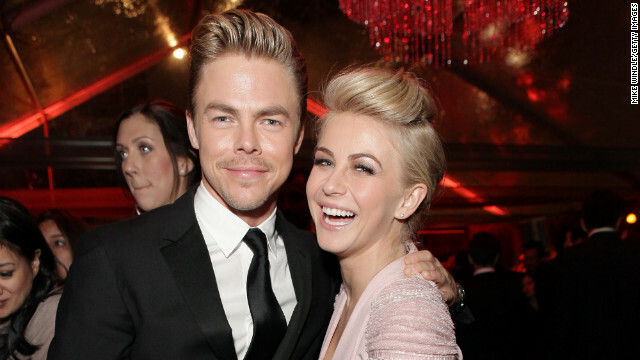 Julianne and Derek Hough have a fast-paced and entertaining night lined up for all that attend one of their shows. In the words of Julianne herself, “once it starts it doesn’t stop.” The dances they will be performing vary in the genre but some of the styles you will see be performed include tap, contemporary, and ballroom to name a few. The two stated that they wanted the show to feel like a rock concert but for dance and they are confident that they will impress the audience.